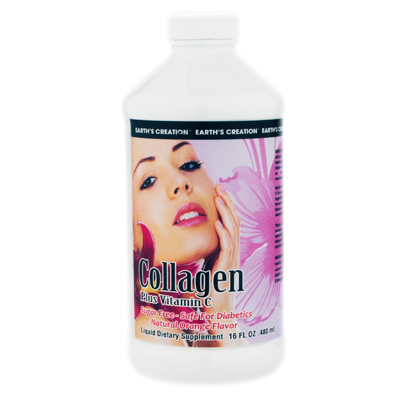 Liquid hydrolyzed collagen is great for weight loss, joint support, pain relief and better-looking skin, hair and nails. Collagen loss happens due to multiple factors, including sun exposure and the natural aging process. This can be distressing as the skin starts to lose moisture and elasticity, creating wrinkles and roughness. If you find yourself in this situation, Collagen supplementation may be the answer for you. Earths Creations Liquid Collagen plus Vitamin C® is a great-tasting orange flavored drink, hydrolyzed so that it can be easily absorbed by your body.